When will be The Lawrence Welk Show next episode air date? Is The Lawrence Welk Show renewed or cancelled? Where to countdown The Lawrence Welk Show air dates? Is The Lawrence Welk Show worth watching? 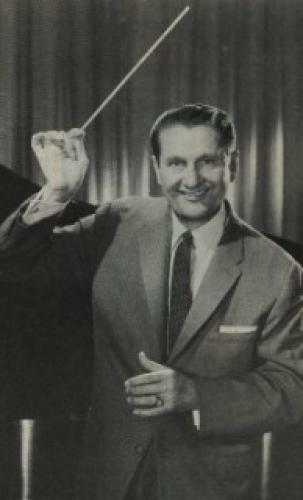 World famous bandleader Lawrence Welk brought his lively brand of "Champagne Music" in to American homes for well over two decades ... and his show is possibly still the most beloved and well known music variety show in television history. The original series only ran until 1971, but TLWS continued to live on with new episodes in syndication through 1982. EpisoDate.com is your TV show guide to Countdown The Lawrence Welk Show Episode Air Dates and to stay in touch with The Lawrence Welk Show next episode Air Date and your others favorite TV Shows. Add the shows you like to a "Watchlist" and let the site take it from there.